Stennett delved into installation and performance with The Artist Survival Shack Project in 2013. During his residency at Pioneer Works Stennett will be raising the level of difficulty and exploring new materials and challenges with a dead of winter version called The Arctic Artist Survival Shack Project. 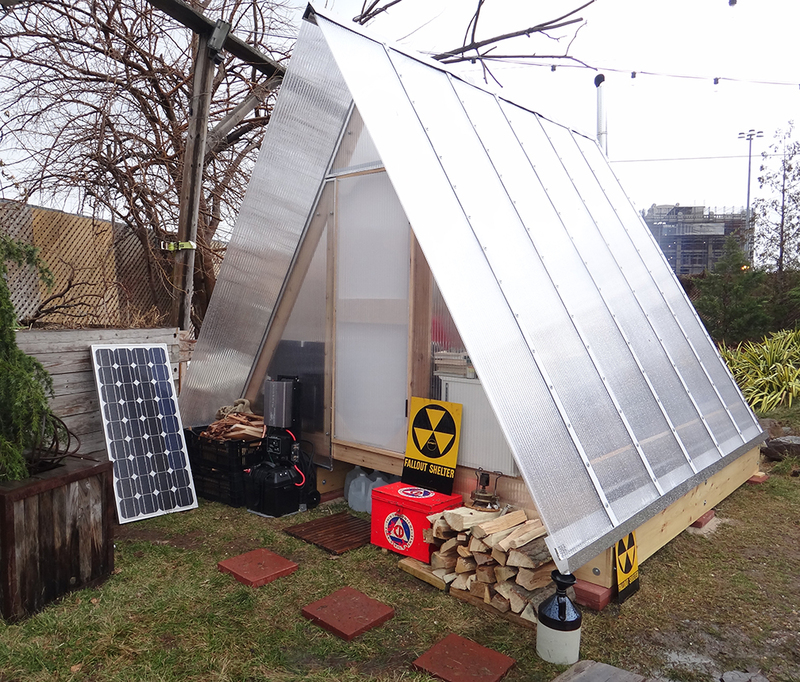 The Arctic Artist Survival Shack will serve as a proving ground for alternative systems of physical survival, spiritual survival and creative expansion. Stennett will live and work in a 10’x10’ self-designed shack outdoors at Pioneer Works during the (historically coldest) month of February. Systems implemented will include solar, wind power, water collection, water filtration, vermiculture composting of waste and dumpster foraging. The supplies, food and water Stennett arrives with will be all he has access to. His mission will be to survive physically and spiritually, and to create a new body of work. During his one-month stay Stennett will be offering Sunday workshops demonstrating and teaching some of these systems for survival.